And it’s more Costin Chioreneau goodness! With the release of their brand new album To Drink From The Night Itself creeping ever closer, today At The Gates have unveiled the album’s artwork and track listing. As I might have hoped, the artwork was put together by none other than ghoul himself Costin Choireneau, opting for more of a red colour this time round, the philosophical sense of oblivion remains with the band. I’ve also noticed that the band’s logo has been tweaked somewhat. The record, produced by Russ Russell will have the artwork as a conceptual piece running alongside the album. Though frontman Tomas Lindberg is remaining tight lipped he did mention one small clue in the form of Peter Weiss. 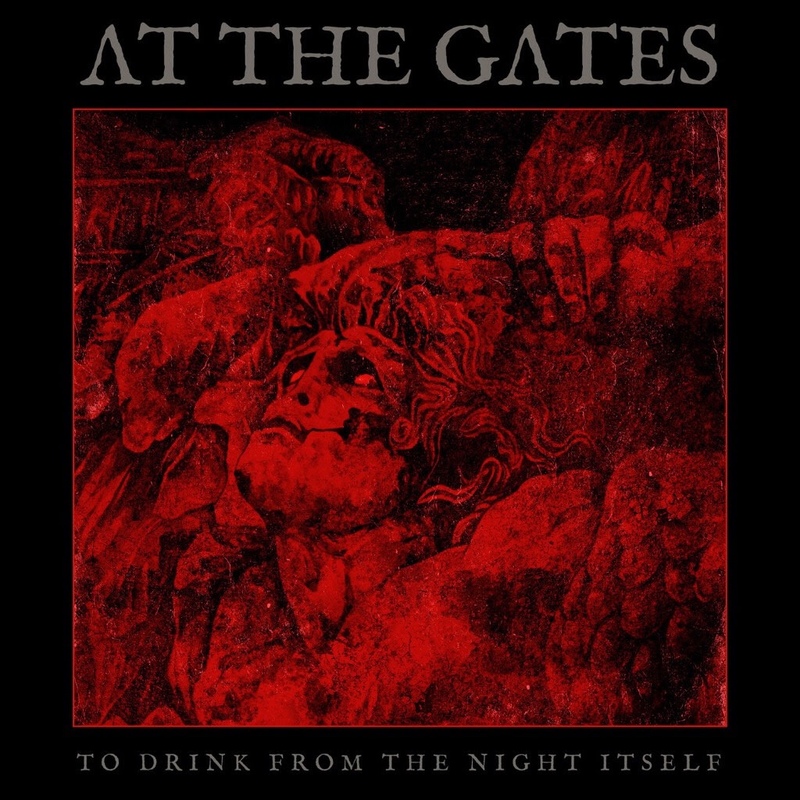 Pretty cryptic if you ask me but then At The Gates aren’t exactly the most straightforward band and Lindberg thrives in the philosophical darkness the band embody.